As a tremendous added value, each print comes with a “Giclée Print Certificate of Authenticity” signed by the artist. 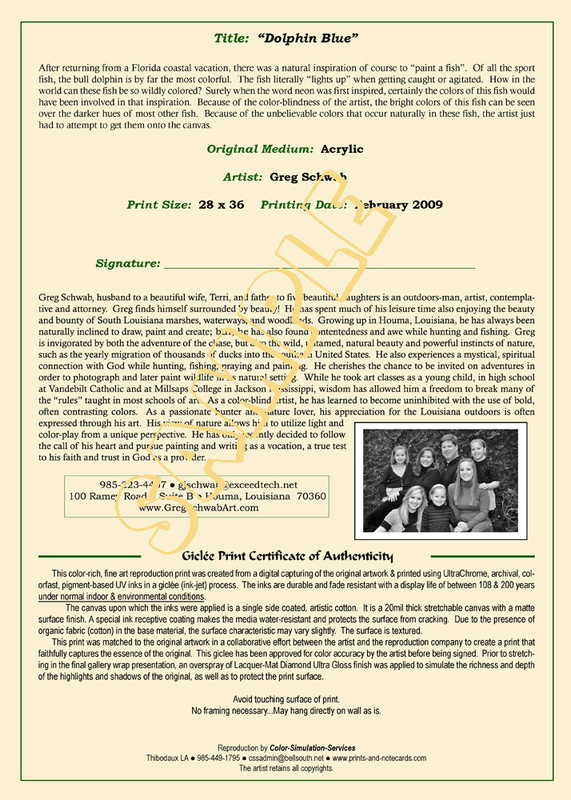 This certificate details the printing process used, as-well-as the media and ink properties. The certificate gives insight into the artist's inspiration for the particualr piece and shares biographical information about the artist.